First of all, who is Ramona Graham??!? I am a little embarrassed, but I had no idea. WELL. I shoulda known, cause she's pretty fantastic. She owns Fitness Boot Camp, LifeForce Fitness, and the South Carolina Fitness Corps. She competes. She's a certified trainer. Teaches group fitness classes. 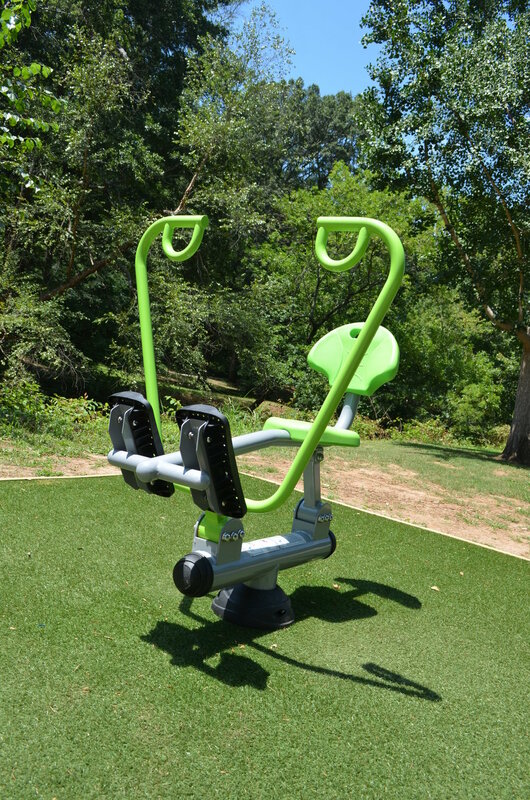 AND (drumroll) she designed the Ramona Graham Fitness Boot Camp Fitness Trail in Greenville's Cleveland Park. What did you do today?!!? Seriously, Greenville is making it hard to have any kind of excuse NOT to get in your daily calorie burn. You can ride the Swamp Rabbit Trail, hike Table Rock, or paddle board at Lake Jocassee. You can play frisbee at Gary L. Pittman Park or run the trails at Paris Mountain State Park. SO very many options. This week, I kept it close to home. Cleveland Park. One of my absolute favorite places in Greenville, no matter how crowded it gets (ok just kidding I prefer the park on say, a Monday morning, when no one is there). Anyway, it's pretty spectacular. You have tennis, basketball, wild animals (the zoo of course), playgrounds, trails, sand volleyball, green space, Pink Mama's Ice Cream Truck...and the list goes on. 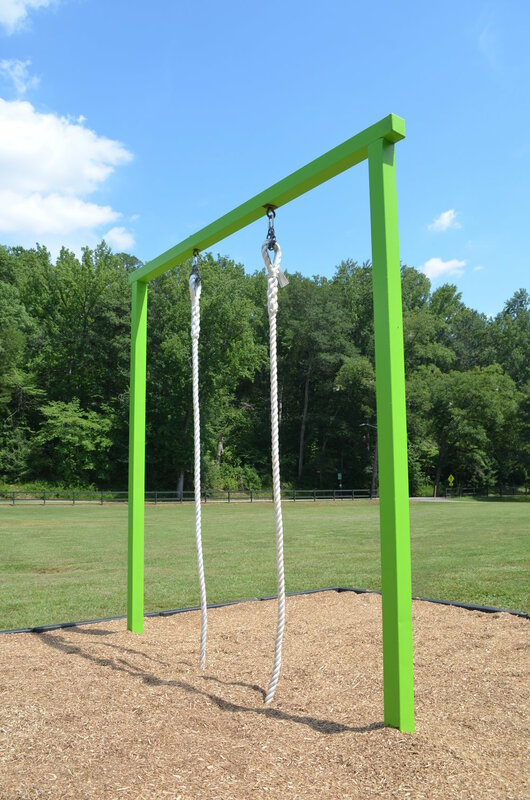 Well, the City of Greenville has recently added 16 fitness stations at Cleveland Park. 16! and FREE! with beautiful views! Really pretty great if you ask me. If anyone was watching, yes, that was me looking awkward and out of shape as I tested out all of the equipment. But this is important work people. Anyway, every one of the 16 stations will test your strength - from your biceps to your legs to your abs. Quick note - you gotta be 14 to play. But no worries, bring a stroller or bikes and let the kids tag along while you get your workout in. I do have to say that the seats get pretty dang hot on these sweltering summer days so beware. Otherwise I have no advice, except that it is fun, good for your muscles, and a great excuse to get outside and enjoy all that the City of Greenville has to offer. Great afternoon at a gorgeous park in the heart of Greenville. Just use the equipment, or make a day of it. Pack a picnic, visit the Greenville Zoo, play on the playground...it's up to you. Make it your own. And ENJOY! Until next Tuesday, happy trails :) !